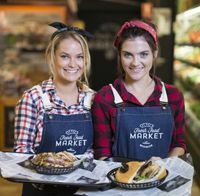 Attention Townsville: Otto’s Fresh Food Market is proud to launch the exclusive, decadent, and oh-so-delicious Hot Cross Berliner! Available for only a limited time (seriously, they exist for four days only), these doughnuts are really going to make your Easter. 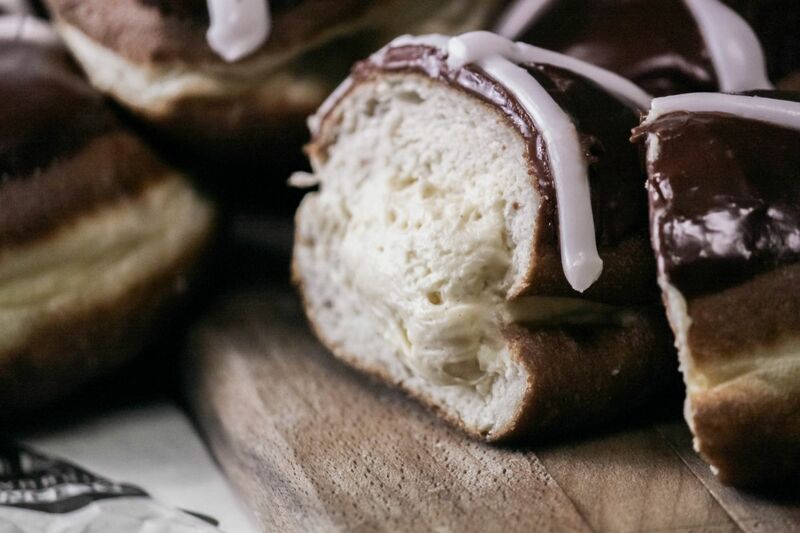 Very similar to the other filled Berliners which Otto’s is famous for, these beautifully handcrafted morsels take things up a few delicious notches. Take a fluffy, hole-less doughnut and dip it in to silky chocolate fondant and cross it with a white fondant cross, and you are almost there. Drooling already? We don’t blame you. But, the real pinnacle of these beauties is in the filling, and boy, is it special. If a custard made on milk and apple juice sounds a little strange to you, never fear. Trust us when we say that this special, limited edition Spiced Apple Custard is a million shades of delicious. It’s creamy, subtle and oh-so-moreish … and the best part is, it’s an invention of our very own Artisan Bakehaus team. 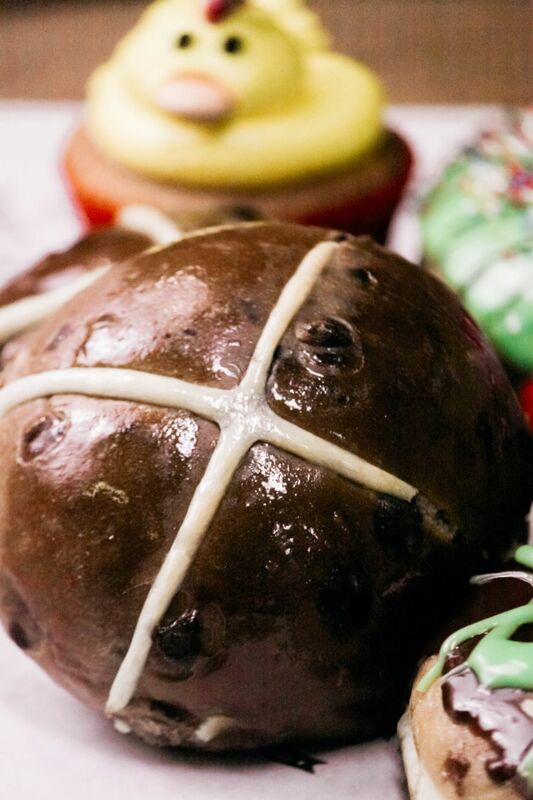 Our Hot Cross Berliners don’t contain sultanas and are handcrafted fresh daily by our wonderful team of Bakers and Apprentices at Otto’s Artisan Bakehaus, the traditional way, with no added preservatives or hidden nasties. 100% real, 100% delicious and 100% #ottostyle. They are available until sold out (and a sellout is guaranteed) from 8am on Good Friday and each day over the Easter long weekend. So get in early to snap up your very own hot cross doughnut – because once they’re gone, they’re gone! 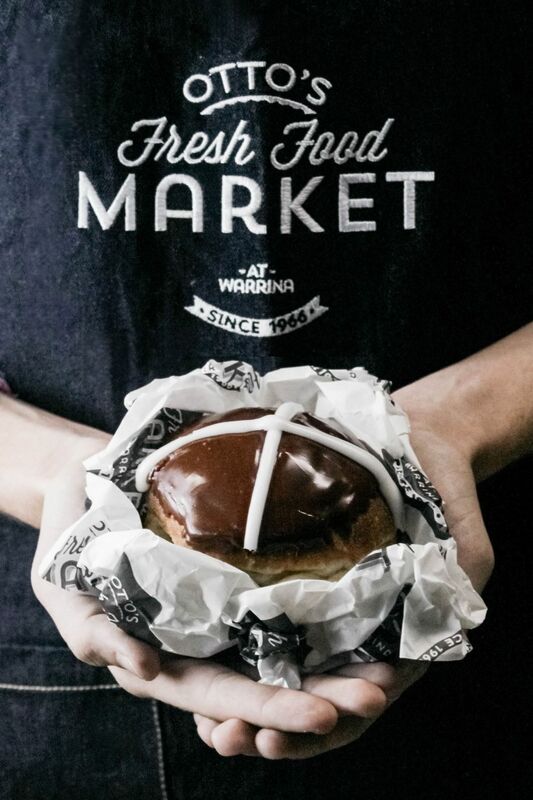 The same generous size and shape as our popular vanilla glazed doughnuts, our special Easter Egg Doughnut is sure to get the little ones egg-cited! In the spirit of Easter, our special doughnut recipe is made just a little more festive when paired with a thick, silky coating of either chocolate or green (unflavoured) fondant, decorated with either melted milk chocolate, sprinkles or coconut and topped off with a special treat – a medium sized Cadbury milk chocolate Easter egg. 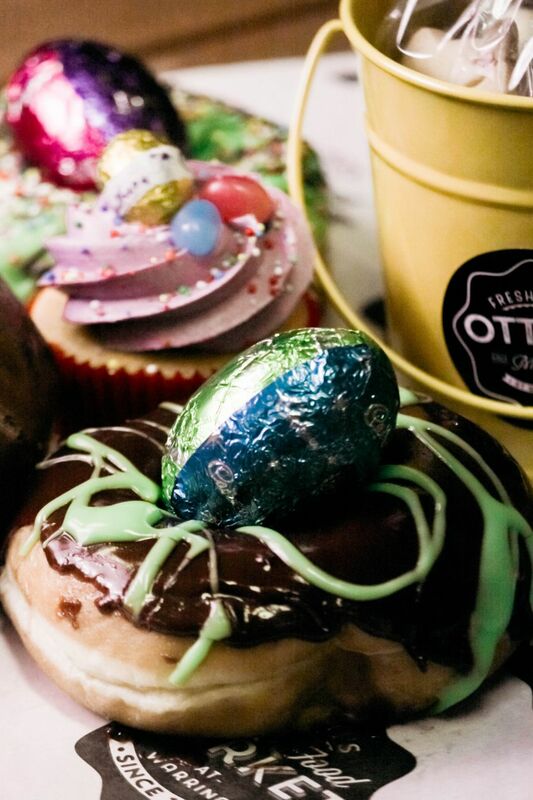 At Otto’s, no two Easter egg doughnuts are the same, with different design combinations each day. Available daily over the Easter long weekend until sold out! 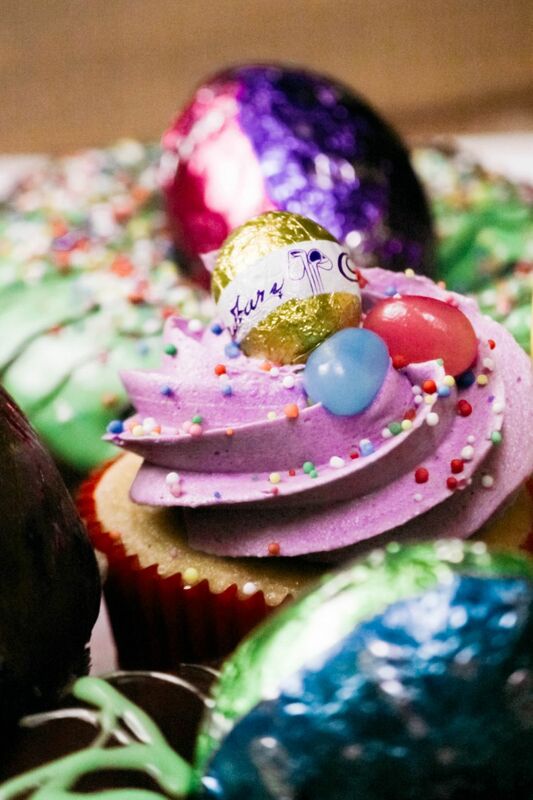 Our Easter twin pack cupcakes were such a hit last year, that the team at the Artisan Bakehaus couldn’t resist making them again for you this year too! Available now until sold out, these vanilla cupcakes are Easter themed, with a range of decorations, colours and silky buttercream toppings. Unavailable for separate sale, these treats are perfect for the kidlets and are located in various places around the store. Be quick, as they will sell out... just like last year! You can learn all about our traditional and chocolate Hot Cross Buns here.